← Leopard Chronometer – Trailer….. 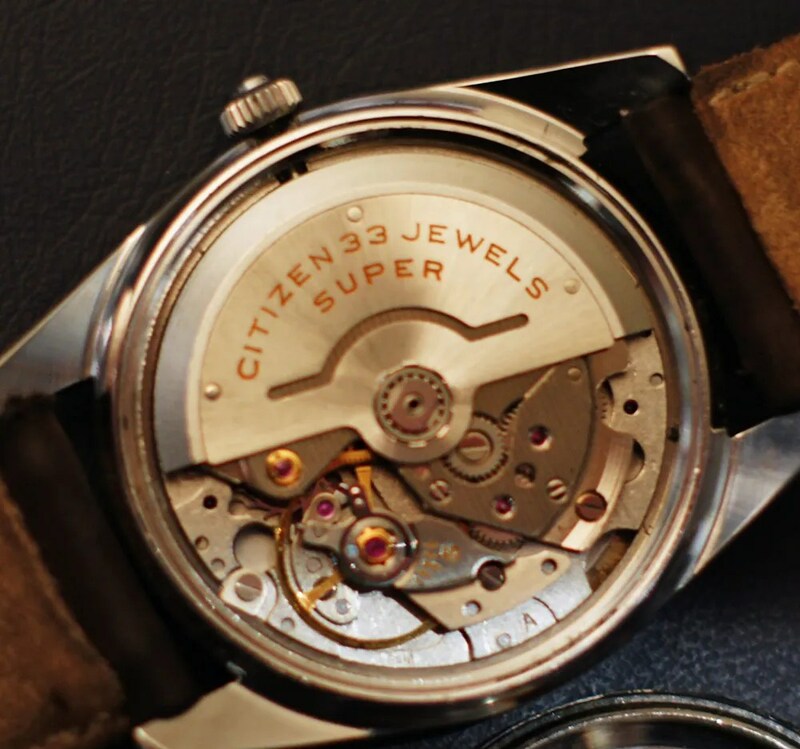 In the mid 1960s Citizen introduced a new and extensive line of watches, using their 52 automatic movement. This marked the launch of the successful Crystal Seven line, which is one of the better known names from Citizen’s back catalogue. 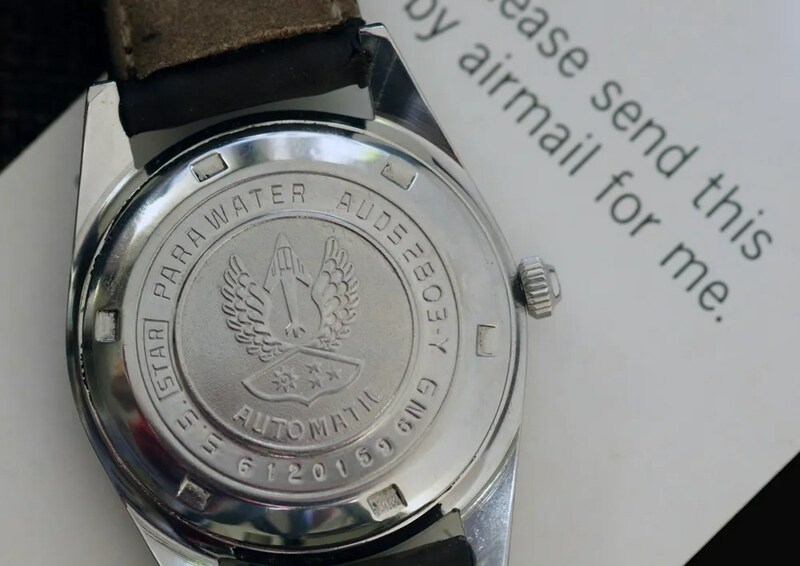 These watches were the first (for Citizen) to use hardened mineral glass rather than acrylic crystals, and this is reflected in the model name. 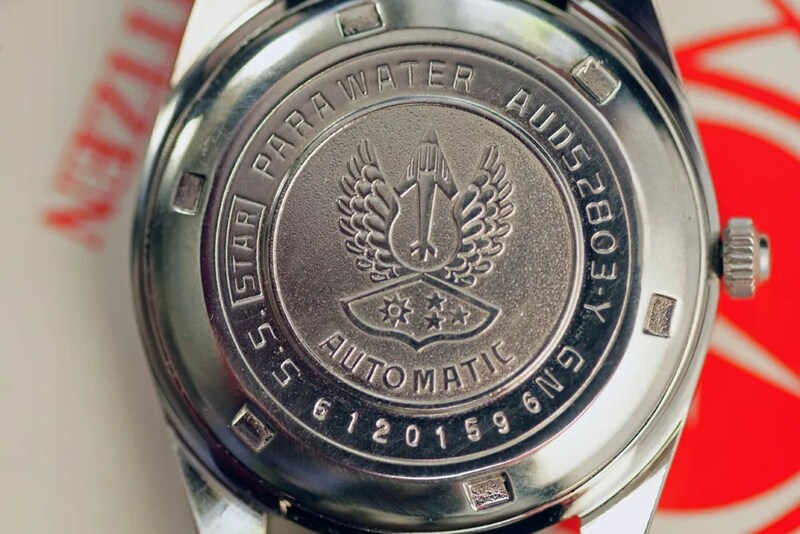 Also part of the 52 range are the high end Chrono Master automatic models, featuring highly tuned versions including chronometer grade pieces (https://sweep-hand.org/the-chrono-masters/). In between the standard Crystal Date and the Chrono Master, Citizen also produced the ‘Super Crystal Date’, a relatively rare piece. 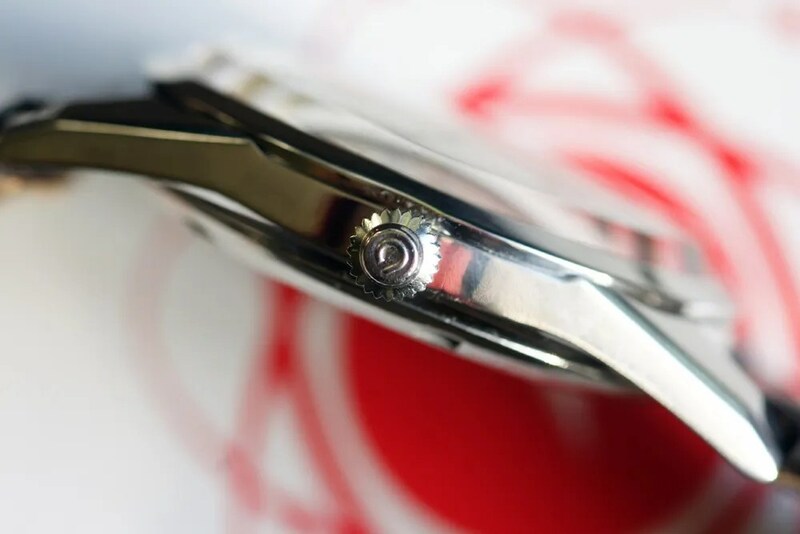 With the 33 jewel 5410 movement, these were subject to enhanced accuracy regulation at the factory, as was done in the Super Jets, Super Deluxe and other ‘Super’ designated models. Also, like the Chrono Master, they have a second setting (‘hacking’) function. The emblem shows a stylised rocket or jet plane, within a pair of wings and with a gear and the three ‘super’ stars underneath. The older style model number is used – AUDS2803 – and the serial number gives a production date of December 1966. 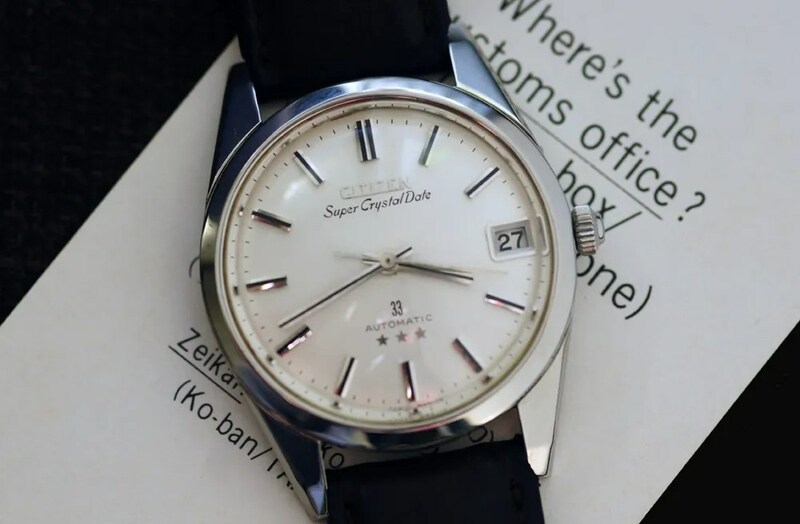 This entry was posted in Vintage Watches and tagged Citizen 5410 Movement, Citizen Super Crystal Date, Vintage Citizen Watch. Bookmark the permalink. He encontrado aquí en Uruguay uno muy parecido pero con el número 21 y sin el grabado detrás. El estado estético no es impecable pero es bueno, y la máquina funciona bien. Creo que será una buena compra por U$s 50.